Given how much action BlackBerry 10 has seen thanks to quick people with cameras, many would argue with tacit approval from the management of RIM, in order to keep excitement of the BlackBerry 10 announcement coming on the 30th, this patent is counter productive in some ways. Now, RIM has scored a patent which would “prevent inconspicuous use of cameras.” The way this would work according to the patent, a user would not be able to take a picture until the device has been held and focused for a certain amount of time. Once it makes it to future BlackBerry devices, that period of time would be determined by a company’s IT department. Specific IT policies are a differentiator for BlackBerrys. With them, IT departments can lock down a company BlackBerry to do nothing, or open itself up to do whatever the user desires and everything else in between. In this case, the patent is geared for businesses to give them a tool to prevent employees from snapping spy pics of something super-secret. 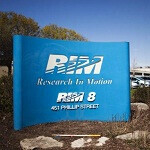 In the past, RIM’s approach to this was to build devices without a camera altogether. This option gives companies more finite control while still allowing users to switch to personal settings during personal time. Most places that have sensitive info, have a no cell phone policy. They dont care who its made by. I have worked in that type of environment since 2008. NO cellphones allowed in the offices, period. Now its no eletronic devices allowed in the offices that can have storage or a camera. CD players are allowed, radios are too. Thats about it. does anyone even care about blackberry anymore, as a consumer i would rather have more apps than what bb has to offer. and by the way there cameras stink. I honestly don't care about this, whats coming on the 30th seems a lot more interesting.